“How could a parking lot be green?” some of you might be asking. In quite a few ways, if you do it like the Detroit Zoo did it. 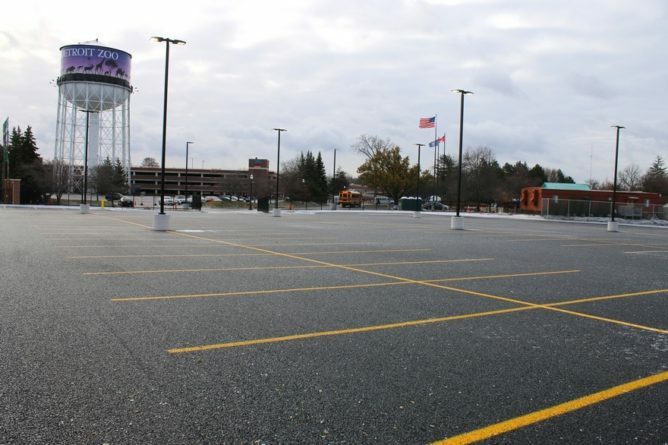 The zoo recently opened up a permeable pavement parking lot off of Woodward Avenue in Royal Oak, close to the Polk Penguin Center. With 215 parking spaces, this new parking lot features a permeable pavement, which is more porous than standard concrete. Water seeps through the pavement and is naturally absorbed by the soil beneath the pavement. Therefore, there’s less stormwater runoff that makes it to the sewer system, lessening the load of water during storms and preventing the sewers from overflowing as a result. Moreover, the permeable pavement can also filter pollutants from the water. It’s also pretty easy to clean and maintain; some sweeping and vacuuming are enough. The creation of the permeable pavement parking lot, which is the largest of its kind in the county, is the latest effort being made by Detroit Zoo as part of its Greenprint effort, which aims to implement sustainable business practices. As part of the Greenprint effort, the zoo no longer sells bottled water, and it also purchases its electricity from wind farms. A future project is the development of an anaerobic digester, which will convert animal manure into methane gas, which will power the zoo’s animal hospital. The whole eco-friendly craze is over…because more and more people have adopted it as an actual way of life rather than as an alternative. Travel is definitely one aspect that should grow increasingly greener. So how is eco-friendly travel doing in the US these days? A Federal Times article entitled “Green of the road: Airlines, hotels, cars more eco-friendly” reports that everything is a lot greener these days, from aircrafts to hotels to rental cars. We just love B&Bs here at Green Unlimited, so every now and then, we’ll be posting about some eco-friendly B&Bs around the U.S. and around the world as well. If you know of a great B&B you think we should know about or you own an eco-friendly B&B, we would love it if you could write to us! If you’re thinking about heading up to the Catskills in New York, consider staying at the Deer Watch Inn. 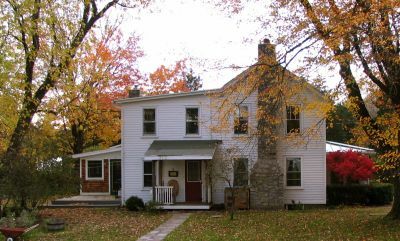 The bed and breakfast is located in Greene County (appropriate) and the structure was a cottage in the 18th century, eventually becoming a boarding house and then a private residence. The inn makes sure to provide guests with a comfortable, safe haven and keeps the environment in mind by using energy-efficient lights and appliances as well as solar panels. Rain barrels and clotheslines are also used to make its operations greener, and the inn has made the switch to non-toxic cleaning supplies. In addition, the rooms are all non-smoking and food includes organically grown produce and herbs from the organic garden within the property. I can’t express how much I love B&Bs. They’re often more like cozy, pretty, well-tended homes that are usually a far cry from what your home is like, and when you’re staying in one, you may start wondering why you can’t get your own home to look as nice. Or maybe that’s just me. But you can’t deny that many B&Bs are especially charming and the ones that are in a different location stand out and promise you a relaxing stay. Take Thyme in the Country in the city of Hudson in Columbia County, New York as an example. 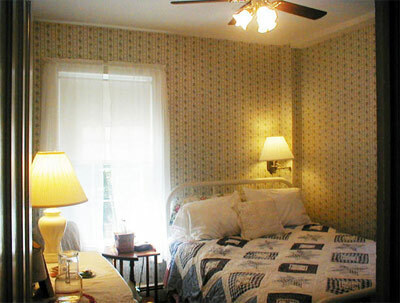 Thyme in the Country is actually an 1880s farmhouse and boasts five pastoral acres. The farm is actually a working farm, and the vegetables and fruits that are part of the B&B’s organic breakfasts all come from its one-acre organic garden. 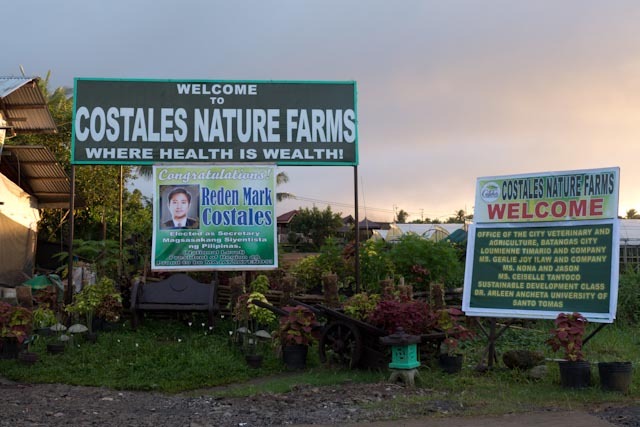 They also make sure that pesticides and chemical fertilizers play no part in their farming. It’s not only the food that makes Thyme in the Country an eco-friendly B&B. They collect rainwater which will be used for their gardens, and 66% of their electricity comes from solar panels. They also compost any food scraps. In addition, recycling plays a major part in the B&B’s operations, with recycled items–from toilet paper and tissues to fixtures and countertops–being used as much as possible. The rooms feature organic mattresses and natural fibers. These features and the location make Thyme in the Country seem like a great place for a quick weekend getaway, where you can just relax and enjoy your surroundings. You might even want to do more than just eat and sleep here, and actually hang around and be there, without treating it as a stopover or a mere place to sleep. 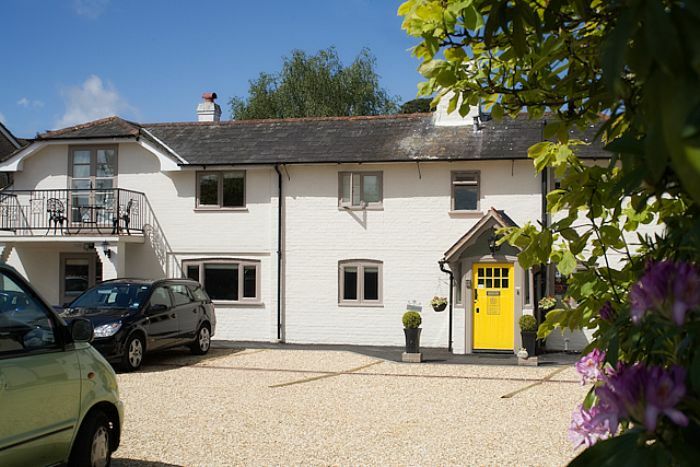 Cottage Lodge in Brockenhurst, England is known for being eco-chic, but that term just makes it seem like it’s being trendy when the B&B is genuinely doing its best to be kinder to the environment. For one thing, its breakfast room features tables made out of a black poplar tree that fell in a nearby school. The bed in the Gillies Holt room came from sustainable sources. What would really have a lot of environmentalists buzzing, however, is the Standing Hat room. Aside from being incredibly gorgeous, it’s also solar-powered. And for those who are looking to unwind in the room and watch some TV, well, you’re going to have to work to be able to do so. Cottage Lodge has just fitted a bike in the room which will power the TV. It’s definitely a good way to watch some shows rather than just sitting around, plus you’re doing something good at the same time.